Rumor has it that we won't be seeing the next flagship iPhone until much later this year, but we may have just the right thing to keep y'all entertained for the time being. Earlier this week, a reliable source in the accessory industry showed Engadget a highly detailed CAD file of the "iPhone 8's" chassis, which allowed us to generate several renders for publishing. The most obvious takeaway here is the dual camera's new orientation, and that both the microphone plus the flash will be part of the camera bump. This is hinted by what appears to be a carved out area for a wireless charging coil on the underside of the chassis, though we're not at liberty to disclose related images. Since this is the smaller of the two next-gen iPhones, these renders suggest that the dual camera plus wireless charging will become a standard feature. Speaking of, our source said both screen sizes will be getting bumped up: the 4.7-inch version will go up to 5 inches, and the 5.5-inch "Plus" version will be stretched to 5.8 inches. Alas, these renders don't indicate whether the new displays will go from edge to edge as rumored, but the body measurements in the CAD file do point to a slightly taller, wider and thicker body than the iPhone 7. As with all leaks, there's always a possibility that these renders may turn out to be false (which we highly doubt given the nature of these files), or that Apple may give up on this design entirely. 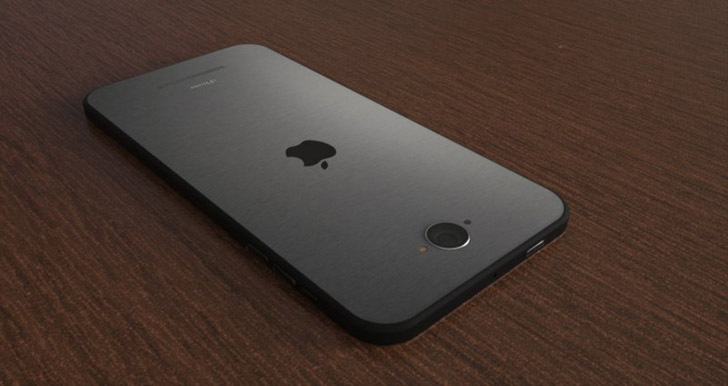 Either way, there's still the rumored tenth anniversary iPhone to look forward to as well.